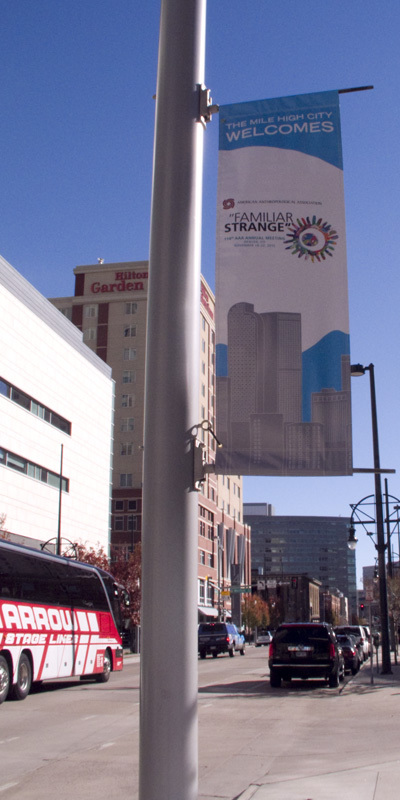 Today at the 114th Annual Meeting of the American Anthropological Association, Familiar Strange, in Denver, CO (USA), I am presenting in a panel session reviewed by the Society for Humanistic Anthropology. The session is entitled: Art and World Making. The panel consisted of a group of individuals who I participated with in a 2015 workshop entitled Art and Imagination at the 113th Annual Meeting of the American Anthropological Association in Washington D.C., USA. Taking the enthusiasm from our workshop meeting, we have stayed in contact and organized ourselves to formally present our diverse backgrounds and individual research concerning art, performativity, and representation. The significance of the Internet-based collection project is to present the social interaction between people and objects. The concept of social interaction between people and objects is to present the functionality of the interaction instead of putting the main focus on the object alone. In redefining an ephemeral collection it was important to obtain a broader knowledge of Western Culture objects, which would regard objects beyond a fixed idea of how they are exhibited in traditional museum collections. Artist, Carrie Ida Edinger’s collection project has been formed using experimental ethnography, along with digital media that is used for documenting and exhibiting. Edinger’s ethnography practice explores an image-based inquiry of the body and the senses that is referenced to experiments in visual practice conducted by Anna Grimshaw and Amanda Ravetz, Sarah Pink’s methods to the senses, and Patricia Leavy’s art-based research. With nearly four years in the collecting process, a website is the exhibit platform for the acquisitions of a continually evolving collecting process. Digital media will be introduced with museum concepts by investigating Susan Pearce’s methods pertaining to curating and archiving. The archiving process and grouping from the research enables the collections to be analyzed, organized, and restaged within a continually evolving public realm. My November Anthropology News column considers the material culture aspect of art conservation. Knowledge from an Object is a continuation from my April 2015 column and my tour of the University of Delaware Art Conservation Department at the Winterthur Museum's Crowninshield Research Building.